If you have any professional license and practice some skill in the United States generally the board that provided your certification requires some form of continuing education. This is particularly true for those who work in the medical field. 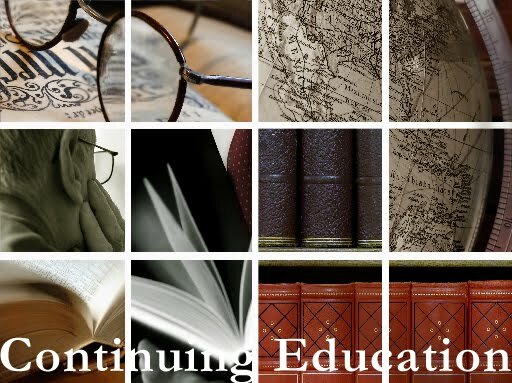 From physicians all the way down the totem pole there is a general requirement for at least 24 hours of continuing education in the course of a two-year period. This is a way for the varying boards that provide licensure to help keep these people at least remotely proficient in how they practice. I am for this sort of activity because it sharpens the mind and usually provokes the mind to focus a bit so that certain skills will improve. It also keeps you aware of the various changes that are taking place in the field. However, since most ministers do not have someone holding their feet to the fire for continuing education, if it takes place at all, it is because of self-initiative and motivation. If a man is not careful, after he has been in the ministry for ten years or so, the pounding his soul and mind takes through the normal avenues of ministry creates a very stale and often pessimistic view toward the church. Add to that various other hazards of ministry, church life, and denominational politics that he has to endure along the way and continuing education becomes an afterthought if it even merits that much attention. I can remember the first John Maxwell seminar that I attended back in 1994. He made a very profound statement about putting yourself on a personal growth plan. I remember the three things that he said that personal growth would cost: time, money, and discipline. At the time, Maxwell was just beginning to step into the leadership genre that would move into the church world. Some of his influence has been very good while some other areas have obviously hurt the church. Particularly in areas where doctrine and lifestyle were directly sacrificed on the altar of convenience for church growth at any cost. But if there was anything that Maxwell said that stuck with me, it was the fact that any personal growth that took place in my life was going to be my responsibility. 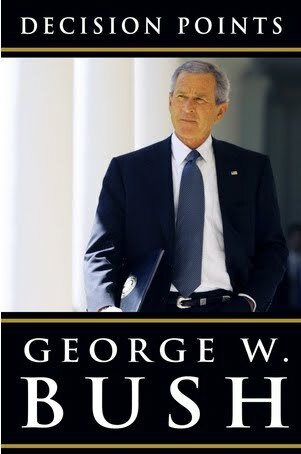 Recently I have been reading Decision Points by George W. Bush. As I was reading one of his anecdotes about one of his history professors at Yale, I was bowled over by the statement that this professor made. He said, “My business is history!” Former President Bush said that this professor could make historical characters so real it was almost as if they were walking the aisles of the classroom and they were teaching instead of this professor. I thought to myself as I read, “My business is going to be the Bible!” I am going to give myself to it in such a way that when I preach or teach, I want people not only hear the Word but to encounter the Word. There is a price tag on being able to do that! That is where continuing education will have to take place. • A very low-level biblical knowledge of any kind has become the norm for even regular church-goers. • A highly distracted society because of the various forms of electronic media that is overwhelming our minds. • Shortened attention spans because of the effect of television and highly appealing mental and visual stimulation that takes place. • A mostly unconcerned population concerning what takes place after they die. • A lack of hunger for spiritual things or instruction. • A mentality that is appalled at a sermon that lasts for an hour but thinks nothing of watching a sporting event that may last 2 ½ to 3 hours or a movie that lasts for 90 to 120 minutes. • A population that rarely reads anything but web-pages and text messages (txtn mkng us dummer n dummer 2day). Thought I would throw that text message in for you so you could see! • An attitude that scoffs at anything that even half-way promotes an absolute view of anything. Which is what the Bible does. So how does a man who has the very words of life combat all of this? First, he has to be a man who is given to prayer and the care of his soul. Continuing education has to start with a minister forcing himself into a place of prayer. I do not speak of the kind of prayer that we do when we are in our cars traveling to various pastoral appointments and so forth but the kind of prayer that puts the world on hold until the soul can be emptied of the world and filled with the things of God. 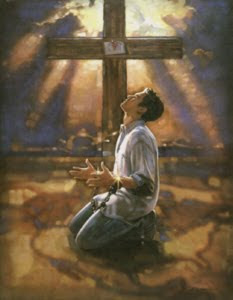 How many men are willing to put themselves on a personal growth plan for prayer? We often relegate prayer, especially in Pentecostal circles, to being spontaneous, vehement, and passionate. Spontaneous prayer holds an important place but what if our praying was more prepared and systematic than the disorganized way that it often is. What if for six months you developed a list of specific people and specific needs that you desired for God to take care of? I am mostly told that prayer doesn’t work as if pragmatism is the whole reason that we pray anyway. My standard response to people who say that prayer doesn’t work is that the only prayer that does not work is that which is never prayed. The common reason that prayer does not work is because we are not given to consistent and organized prayer. America is mostly prayerless until some national disaster strikes and then people pray for a couple of months after that and then drop back into their prayerless state. Just in case you are wondering, listening to someone else pray does not count for you praying. The continuing education of a preacher means that prayer is on the agenda. 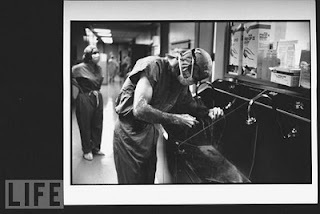 I doubt you would want a surgeon to perform surgery on you if he did not scrub his hands for ten minutes prior to the procedure taking place. 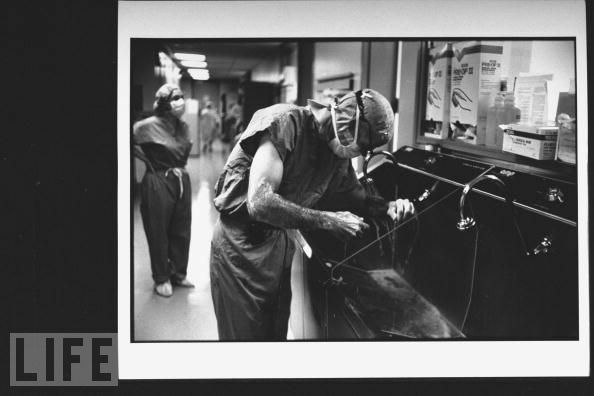 I can only wonder how many times that Charles Conner and Joe Sugg, two of Dothan’s finest general surgeons to operate and who have both retired been several years, washed their hands in a standard ten-minute surgical scrub prior to surgery? If a surgeon scrubs his hands prior to surgery, don’t you think a preacher ought to scrub his soul in continuous, sincere prayer? The Lord needs for his servants to be abiding, praying, and fruit-bearing. 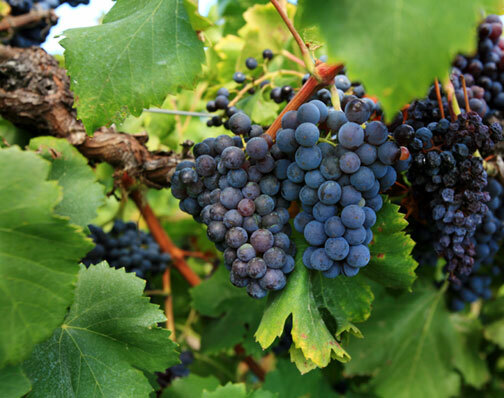 Prayer attaches us to the Vine that is mentioned in John 15. Once I start abiding in the Vine, I will find that I want to relate to the Lord. I will want to reject what the Vine rejects and conversely in doing this I will receive great nourishment from the Vine. That is way that prayer works. Another way to jump-start the passion and purpose in your prayer is to memorize Scripture. I have undertaken quite a task this year. 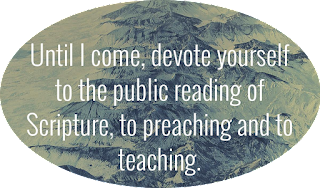 I am endeavoring to memorize the Sermon on the Mount. I am doing so in fits and starts but I can quote more now than I could at the beginning of the year. This is despite being about a week behind on the schedule that I discovered last November. The more Scripture you know, the more weighted your praying will be. You are going to find that Scripture pushes your prayer into areas you had never before contemplated. You cannot ask God in prayer to help you be humble, meek, and pure in heart and then go directly into the mud-holes of the world and have a clear conscience about it. The prayers of the Puritans will help you grow too! You cannot read the prayers of Thomas Manton, Richard Baxter, and Thomas Watson and it not affect the inner spiritual life. Consider a portion of one of their prayers: I bewail my coldness, poverty, emptiness, imperfect vision, languid service, prayerless prayers, and praiseless praises. Another tool to help your prayers grow is a little Moleskin. Go spend the $5 or $6 it will cost you and then set it up as a personal journal of sorts. Write down the date and then keep track of how long you prayed that day. I am certain that there will be those who will accuse me of being a legalist with this method but you have a choice with that. You can call me a legalist while I will smugly call you prayerless! No, not really. I would not want you or I to drop down in such a slime pit but I am challenging you to take a look at how little you really pray every day and the way you will assess it is to keep track of the time spent in prayer. So I am encouraging you today to get yourself on a continuing education path for prayer. If Maxwell can cause us to reach for levels of excellence in leadership, then maybe this blog can cause you to turn the corner toward godliness and fresh revival for our day! 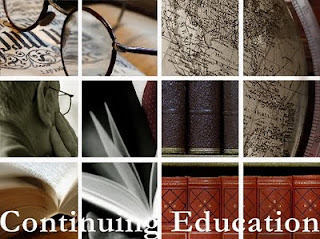 More tomorrow for continuing ed. . . . Recently it struck me once again how challenging that finding the will of God can be. I can remember not too long ago how that there seemed to be a much more desperate search for God’s approval in the choices that people made that really affected the whole direction of their life. Decisions such as career choices, job transfers, choice of a spouse, and certainly a direction for ministry were deemed as crucial moments that would need the utmost approval of God. I can remember reading in numerous biographies of those great men who accomplished something for God, the near state of spiritual angst that went with finding the will of God. One particular man wrote of very rapid spiritual growth that took place in his life but that spiritual growth was accompanied by an intense struggle to find the will of God. After the agonizing internal battle, he left to study for the ministry at a Bible school. In the process of doing this, he left an elite college to which he had a full scholarship to cover all of his expenses. His family was wholeheartedly opposed to this and expressed great concern that he was wasting his future. He went on to have a very fruitful ministry. Our days seem to have left those things of inner spiritual struggle which are deeply thought through, earnestly prayed out, and allowing the Word to direct our choices. Maybe we are too busy and not given to much thought as to whether or not God approves what we are about to do. But the reality is that this inner tension is what seemed to mark some of the greatest of God’s men. The greatest longings of life are those things which are godly, righteous, and spiritual in nature. The hunger of the heart will never be substituted with anything less than God’s will being fulfilled in your life. The servant of God has to go through the experience of things before he can make a study of those paths he had to take. How often have you endured struggles and trials and then looked back to gather the sweetness that came from the struggle? Honey came out of the lion’s carcass for you just as it did for Samson. There is a discipline of life and spirit that God uses to harness the great spiritual power of the soul. A few points about this process might help. First, you will usually travel alone. In the dark hours of this decision, it generally will be a solitary place. Our society is so connected now that it is often frightening for us to get to a place where we are alone with the voice of the conscience. Most of this struggle will be hidden away somewhere from the prying eyes of the curious. The benefit of this comes when we discover and find great dependence on God. Second, you will have to make some trade-offs. They will generally be clear to you but very difficult to embrace. You will know of anointing instead of acceptance. You will experience ostracism instead of inclusion. There will be the miraculous for the mundane. You will know the choice of being prophetic over being popular. You will find a trade involving the dangerous for the comfortable. It will be a life of sacrifice instead of ease. Ultimately the trade you are making means God instead of self. One final thought on the process of making the trade: When you make them you won’t know the value of it until well into the campaign. It may take ten or fifteen years or even a lifetime to discover the importance of the choice you have made but go ahead and make the trade. There is a huge purpose of life that will never be grasped and realized until you make the trade. Thirdly, you will have to resist the overwhelming urge to quit and go in another direction. Get beyond the idea of throwing in the towel. Stand up and persist! The longer I live the more impressed I am with the thought that those who make it and are successful are not the most talented, gifted, best-looking, and so forth. The people who make it are those who just stay at it. There is a blessing in doing something again and again. I have a question for you. If you were to require a coronary artery bypass today would you want a surgeon who had done 10,000 over a 20 year period or a surgeon who had done 750 over a 20 year period? It is obvious that you would want the surgeon who had worked steadily for 20 years and did 10,000. The reason is because that just staying with something and doing it over and over increases your skill. Stay where you are and become great in that place! Resist the urge to always be looking for the greener grass somewhere else. For this matter of quitting, if you quit, there are a host of blessings that you are never going to benefit from in the coming years in your life. Thanks for stopping by. . . .
Last year, I was encouraged by two good friends of mine to add Daniel Silva to my reading stack. After listening to them for over a year, I happened to walk into a used bookstore and decided to spend a whole dollar for a somewhat beat-up hard-bound copy of Silva’s The Secret Servant. I was a little surprised at the alacrity that this new author drew me in. It was one of those books that you start in the evening and end up sitting up way too late to see how it ends. The story was about an Israeli spy who ran throughout Europe thwarting the efforts of Muslim assassins and their plans of destroying democracy. However, what really captured me about Silva’s works was the endnote. Silva listed several sources that he had used to research the background for the book. I subsequently tracked down most of these books and read most of them over about a four month period. 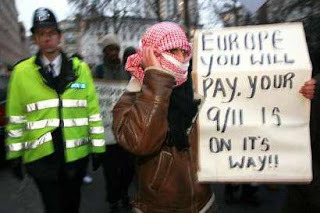 What I discovered was that there has been a growing Muslim influence in Europe over the last thirty years as they have slowly infiltrated geographically by immigration, politically by their fear and intimidation techniques, and religiously by building mosques and developing multiple cell groups that disseminate Islam concepts. This spread of Islam is well-documented by multiple sources although a recent Pew forum seems to suggest it may not be spreading as rapidly as once believed. But despite the fact of the Pew forum stats, one would be foolish to suggest that Europe and for that matter our world has not drastically changed through the ominous influence of the Muslim extremists. 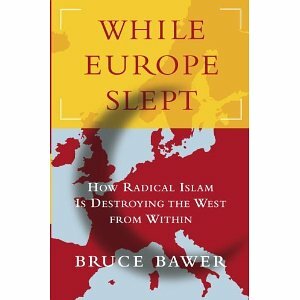 The first book that I read was by Bruce Bawer entitled While Europe Slept—How Radical Islam Is Destroying the West from Within. While I cannot vouch or even condone some of the sinful lifestyle choices of the author, the book is incredibly well written and his documentation is impeccable. He is not just spitting in the wind and pulling numbers out of the sky. Bawer also documents where free speech is coming under fire and it is being outlawed and some writers are being prosecuted because when they bring to attention the violence of the radicals. Be warned that there are some parts of the book where Bawer gets bogged down with stats and lengthy explanations concerning the backgrounds of the various groups on both sides of the issue.